Now drivers can deliver student safety drills with these 11"x 8.5" flip charts on laminated, heavy stock paper — the easiest and most effective student training tools around! Middle and High School Level Flip Chart has colorful pictures and simple text showing step-by-step procedures on one side of each page, and a driver script on the flip side. 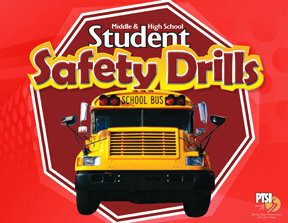 The Middle and High School Level Flip Chart was designed to be used alone, or with the School Bus Safety Drills Curriculum from PTSI. 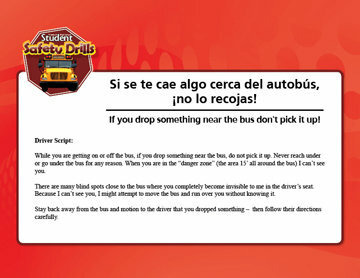 The Flip Charts have large-type "scripts" on the back of each page for drivers to read to students. 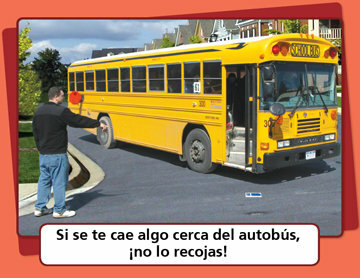 Also Available in Spanish!